In a recent ultrasound article, we talked about how the American Institute of Ultrasound in Medicine (AIUM) named 2013 the Year of Ultrasound, and also its launch of the Ultrasound First initiative last year. We thought it would be useful to learn more about the organization. Fortunately, AIUM’s director of membership & marketing, Jennifer Costello, filled us in! USI: What was the inspiration behind the foundation of the AIUM? JC: The American Institute of Ultrasound in Medicine (AIUM) was officially established as a multidisciplinary organization in 1952 when the use of ultrasound for medical diagnosis was in its infancy. Medical pioneers recognized the potential of this fast-growing imaging modality and agreed on the need to advance the art and science of ultrasound in medicine and research. USI: What types of professionals are members of the AIUM? JC: The AIUM’s membership consists of more than 9,900 sonographers, physicians, scientists, engineers, other health care providers, manufacturers of ultrasound equipment, and students. USI: How has the use of ultrasound for diagnosis and/or treatment increased over the last two, three or more decades? JC: The use of ultrasound has increased exponentially with applications for the use of ultrasound in nearly every part of the body. There are very few specialty areas that will not utilize ultrasound in some way; it’s just a matter of time and training. We continue to provide education to our multidisciplinary membership, and are most recently working to provide resources for medical schools to help facilitate the incorporation of ultrasound into medical school curricula. USI: What is the Ultrasound First campaign? JC: Ultrasound First is an endeavor devoted to education and increasing awareness of the effectiveness of ultrasound in enhancing patient care. For appropriate clinical conditions, ultrasound offers clear safety and economic advantages over radiographic exams, and yet evidence suggests that ultrasound is underutilized. Many clinicians are unaware of the range of conditions for which ultrasound first is an established guideline, and the gap only grows larger as research extends ultrasound’s diagnostic value. USI: How do you recommend individuals honor the 2013 Year of Ultrasound for the remainder of the year and into the future? Follow the activities and resources available through the Ultrasound First Effort and review the Sound Judgment Series articles from the Journal of Ultrasound in Medicine (open access). These invited articles highlight the clinical value of using ultrasound first in specific clinical diagnoses where ultrasound has shown comparative or superior value. In addition, stay in the loop with both the AIUM and SUSME to stay up to date on the latest activities and advancements in ultrasound education. Both organizations offer student memberships! USI: Do you offer programs/resources for ultrasound technicians/sonographers or are they mainly geared towards physicians? JC: AIUM provides resources for all those involved with medical ultrasound. The AIUM provides AMA PRA Category 1 Credits (accepted by the ARDMS) or ARRT Category A Credits. We are unique because we bring together the entire medical ultrasound community. 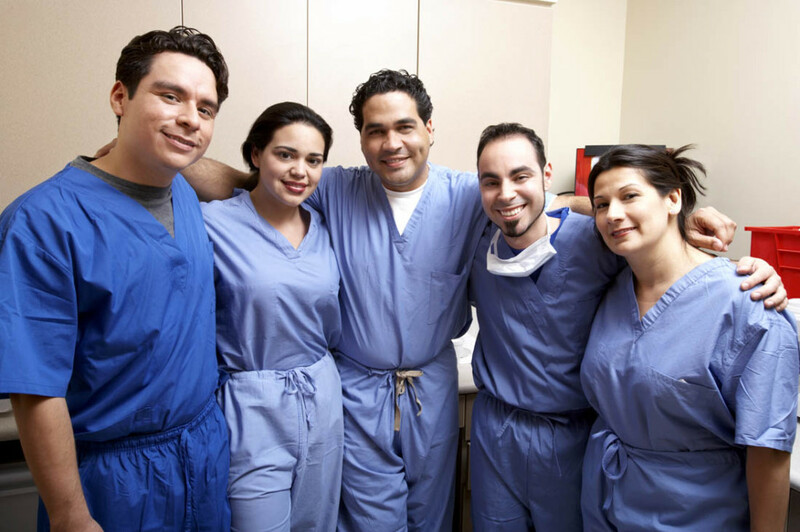 This diverse community results in the opportunity to work with, learn from, and network with individuals from different specialties, fields, and educational backgrounds, on an even playing field. One example of this would be the interaction of a physician, sonographer, and scientist all working together on the same committee to develop a guideline, organize a course, or review an article. We have more than 15 communities and interests groups that serve to bring together all those individuals within that interest area and provide tailored resources for their interests. JC: Please visit www.aium.org for a full list of Journal CME tests by specialty, upcoming Conventions and Postgraduate Courses, CME DVD programs, online lectures, webinars, and more.